Fintech (Financial Technology) is an ecosystem supported by disruptive technology used to make banking and financial services more accessible, faster, cost and time effective, and easy to perform and consume. A recent report on the Future of Fintech and Banking by consulting firm Accenture estimates that global Fintech investment has tripled since 2008, and will rise to $500 billion before the decade ends. Fintech is not only going to be an enabler but also the driving engine of the future. SP JAIN'S 9-MONTH WEEKEND PROFESSIONAL PROGRAM IN FINTECH — the first-of-its-kind in Asia — offers a unique learning experience that will enable professionals to witness the pervasiveness of technology in mainstream platforms. It offers a great opportunity to ride the Fintech wave, gain insights and competencies at the intersection of Finance and Technology, discover innovations that are pushing boundaries, and explore highly rewarding careers in one of the most promising fields of today. We are pleased to announce strategic partnership with Rubique for the Fintech program. PLEASE NOTE: THIS PROGRAM IS NOT ACCREDITED BY TEQSA, ASQA OR ANY REGULATORY BODY IN INDIA OR OVERSEAS. Where more and more institutions – right from start-ups to the world’s largest corporations – are turning to mobile technology to transact business, and markets prepare to embrace a more mature and sophisticated approach of integrating technology into financial functions, professionals in the industry will need to equip themselves with the skillset to bring about innovative ways to compete, collaborate and bring change to traditional financial establishments. FinTech is driven by five notable sub-domains, namely Payments, Lending, InsureTech, WealthTech and RegTech. S P Jain’s FinTech program allows you to opt for a specialisation in Payment and Lending, two of the most sought after FinTech domains and enhance your careers. 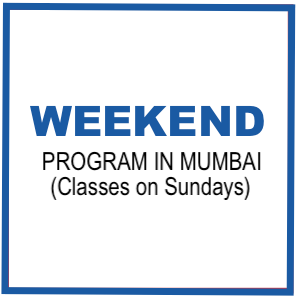 The program study format comprises a mix of home study (over weekdays) and classroom learning (over Sundays). You will be provided with learning materials in the form of books, articles and videos that will help you build a foundation for more advanced learning over weekends. Face-to-face classes conducted over weekends will include quizzes to test your preparation and intensive application-oriented sessions (comprising practical exercises and real-world learning that will help you explore and grasp the material in great detail. From cutting-edge Emerging Technologies such as Blockchain, Machine Learning, Big Data, Artificial Intelligence and Internet of Things to E-commerce, Banking, Trade and Commerce -- over a period of 9 months, SP Jain's Fintech program takes you deep into practically every aspect of Financial Technology. And not simply from a theoretical perspective, but through a practical, real-world approach. In addition to acquiring a focused education surrounding topics in the field, the program enables you to define and streamline your domain expertise, build professional skillsets, network with industry leaders and experts and apply new technologies to innovate and streamline financial systems. Our practice-based approach is what really sets us apart -- not only does it allow you to develop skills in one of the hottest fields of today, but develop real-world strategies even before stepping into the workplace. This is done through a group project and industry internship, undertaken in the final phase of learning. FinTech is at its inflection point as more and more institutions – right from start-ups to the world’s largest corporations – are turning to mobile technology to transact business, and markets prepare to embrace a more mature and sophisticated approach of integrating technology into financial functions, professionals in the industry will need to equip themselves with the skillset to bring about innovative ways to compete, collaborate and bring change to traditional financial establishments. FinTech is constantly evolving and it requires dynamic learning to stay abreast with the latest. 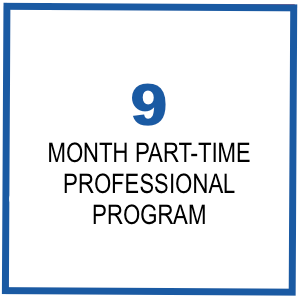 Participants of the program will get unique opportunity to continue their learning experience even after the program ends through invite only seminars, Update 101 packs and various e-learning resources. ONLINE LESSONS: This is the most modern way to learn. Students are given access to a suite of multimedia and interactive learning tools such as blogs, journals, discussion boards, articles and quizzes that help them gain a foundation in Fintech, from the convenience of their homes. 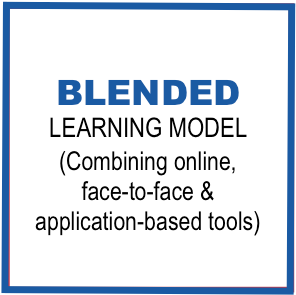 It is believed that the discipline of online learning enhances learning agility and retention of fundamentals since students learn at a pace that suits them. This section of the program can be completed by the student anytime during the week. CLASSROOM LEARNING AND EXPOSURE: Conducted over Sundays and set within the traditional definitions of a classroom, students are exposed to specialist topics in Fintech, discussions and debates with peers (drawn from varied industries and work backgrounds), and interactions with industry experts and leaders who bring with them up-to-the-minute insights and experience of creating comprehensive Fintech solutions. These include both world-class professors and practitioners who have predominantly worked in the technology space. The classroom sessions are video recorded allowing participants to review lessons afterwards. These recorded sessions can serve as refreshers for future reference, or become on-demand content for those who might have missed a class due to work or travel. The program curriculum also includes various domain specific group projects, lab sessions and case studies, all of which help students gain real-world experience and perspective. The academic track of the program is made of a blend of core and advanced specialist subjects. Our curriculum is built on the principle that subjects get more and more specialised as you progress through the program. The subjects, undertaken in the initial months of the program, build a strong, general foundation in E-commerce, Banking, Trade and Commerce. As students progress through the program, Emerging Technologies such as Blockchain, Hashgraphs, Raiblocks, Machine Learning, Artificial Intelligence and Internet of Things are explored in considerable depth. Advanced learning continues in the remaining duration of the program and students are also exposed to new regulations like P2P lending, as well as futuristic ones like PSD2, Mifid II, XVA, Basel IV and FRTB. In addition to acquiring a focused education surrounding topics in the field, the program enables students to define and streamline domain expertise, build professional skillsets, network with industry leaders and experts, and apply new technologies to innovate and streamline financial systems. Our practice-based approach is what really sets us apart – not only does it allow our students to develop skills in one of the hottest fields of today, but develop real-world strategies even before stepping into the workplace. 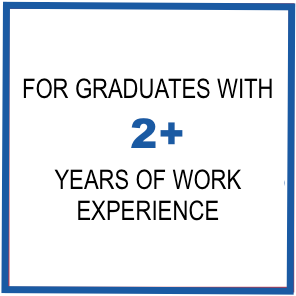 This is done through a group project and industry internship undertaken in the final phase of learning. Learning continues even after completing the program through a unique “Continuous FinTech Education (CFE)” program, enabling students to continue learning new advancements through 101 packs, webinars and seminars. BLOCKCHAIN LAB: The Blockchain Lab will enable participants to understand and differentiate between different Blockchain frameworks, design, deploy and audit smart contracts, and create and share Distributed Applications (DAPPS). API LAB: The API lab allows participants to access data across industries in a standardised format, helps them understand the data flow across business functions, and expose them to several API frameworks such as Indiastack. These APIs will facilitate not only the dissemination of knowledge but also the design of innovative online services. The API lab is cloud-based allowing participants access from any part of the world. INTERNET OF THINGS (IoT) LAB: The IoT Lab will provide participants a physical interface to interact with latest technologies. Each student will be given personalized IoT kits (with 40+ accessories and sensors) which they can use to practice. S P Jain offers an intellectually stimulating classroom environment steered by front-runners in business and academia who nurture participants to initiate, develop and launch ideas. These include industry experts, business leaders, visionary thinkers, innovators, strategists, researchers, entrepreneurs, pioneers and executives who have been the key enablers of technology innovation at leading multinational organisations. Banesh is Fintech services veteran and Pioneer in Technology & Operations solutions management having developed and implemented globally strategies for executing digital capabilities and servicing of clients. He has managed senior global responsibilities in Operations, Distribution and Technology for over 30 years, of which 23 years were in Citibank where he was responsible for servicing clients in 55+ international markets directly managing expenses of over $ 3 billion p.a. managing over 35K FTE. During these years he pioneered the creation of several global Centers of Excellence for Operations and Technology that included implementing Digital Services. He was a member of Citigroup Global Consumer Planning Group, Citigroup Global Information Technology council, Citigroup Global Operations Council. In his last role he was a member of the Executive Committee and head of the Technology and Operations Group for one of Thailand’s leading Universal banking groups- Siam Commercial Bank. He has been and is presently an investor in few start-ups, a board Director, and a Senior Advisor with Boston Consulting Group (BCG) and few other key Companies in Fintech areas. Vikram has an extensive experience of more than a decade in banking, financial services, fintech, consultancy and training domain. He has been associated with YES Bank for more than 9 years where he has made key contributions to Financial & Investor Strategy, Business Intelligence and Business Development & Technology Solutions unit. He is also actively involved in education sector. He has been a visiting faculty at the Institute of Chartered Accounts of India (ICAI) and Edupristine (for CFA & Financial Modeling). He has delivered lectures all over India and at international locations on various contemporary topics. He has also been actively involved in Fintech start-up ecosystem. He has done his M.Com. from Sydenham College and B.Com. with computer vocational from N. M. College where he was a rank holder winning the coveted Prithviraj Baldeva prize. He completed his Chartered Accountancy in 2007 where he was a rank holder in PE-II exams. He has also completed his CFA(US) and CISA(US) which enables him to integrate knowledge from Financial Services and Information Technology domain. He is the only person to win largest Fintech hackathon organized by Rise Barclays for two consecutive years for his innovations in Payments and Treasury domain. Regional Head (West India), Axis Securities Ltd.
Our INDUSTRY ADVISORY BOARDS are made up of leaders who advise us on the latest business trends, industry requirements and practices. We believe that their expertise has helped us create a more relevant curriculum that includes workshops, guest talks and other industry-led initiatives aimed at bridging the gap between academia and the real world of business. Rubique is a leading financial online matchmaking platform formed with a vision to fulfill every financial aspiration during the customer's life cycle in the simplest, shortest and speediest way possible through a wide range of loan, credit card and insurance products. Built on an Artificial Intelligence-based recommendation and fulfillment engine, Rubique’s online credit marketplace platform has been integrated with financial institutions’ systems for real-time processing and providing online approvals to the customers. The program is ideal for students from various streams aiming at a career in Fintech. Executive associates within the financial services, banking and insurance sectors, as well as those working in e-commerce, management consulting or within a tech startup may consider applying to the program. Specific roles that would benefit include: tech entrepreneurs, analysts, product managers, software or app developers, business development managers, finance professionals, and digital strategists operating in the finance sector. STEP 1: Submit your application online (free of cost). TUITION FEE WAIVERS: We offer special tuition fee waivers of up to INR 30,000 for students/members of the CA, CS, CFA and CISA associations. MERIT-BASED SCHOLARSHIPS: We also offer limited merit-based scholarships on a first come first served basis to deserving candidates. Admissions are open for the July 2019 intake. Fintech is not only going to be an enabler, but the driving engine of the future. Be at the forefront of the Fintech revolution with our program.